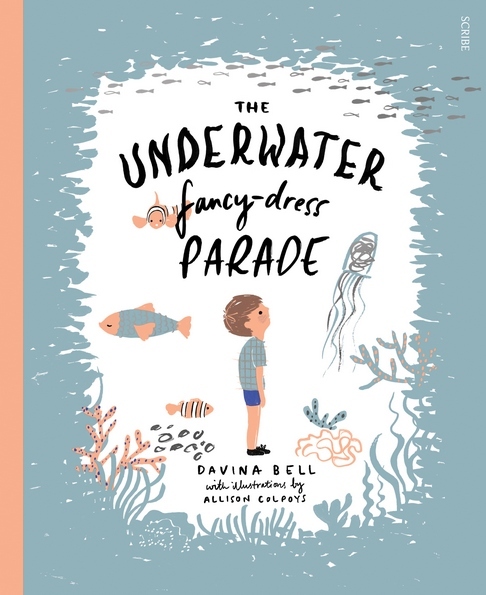 The first thing that strikes you about The Underwater Fancy-Dress Parade by Davina Bell and illustrated by Allison Colpoys is the restricted but eye-catching colour palette – shades of blue contrast against white and striking neon coral. Embossed silver fish on the hard book cover shimmer, providing irresistible tactile appeal. Rather than insisting he face his fears, Alfie’s parents are empathetic, giving him the time and the space to understand his feelings. 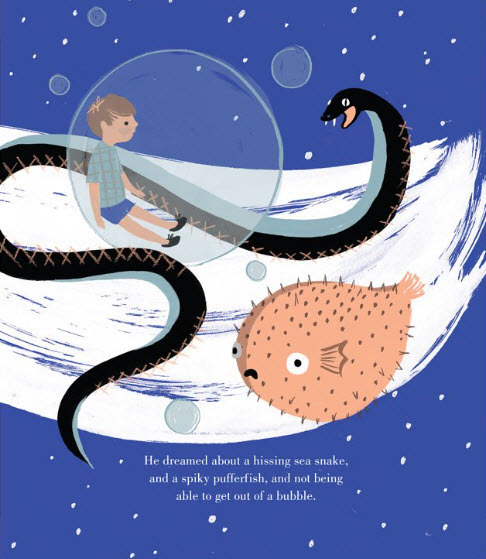 The story has many endearing aspects, notably that Alfie’s fears are very normal and children reading the book will be able to relate to him. I also like the fact that to a large extent, Alfie’s fears aren’t resolved on the final page. Instead, he is simply a tiny bit more comfortable with the challenges that are ahead. 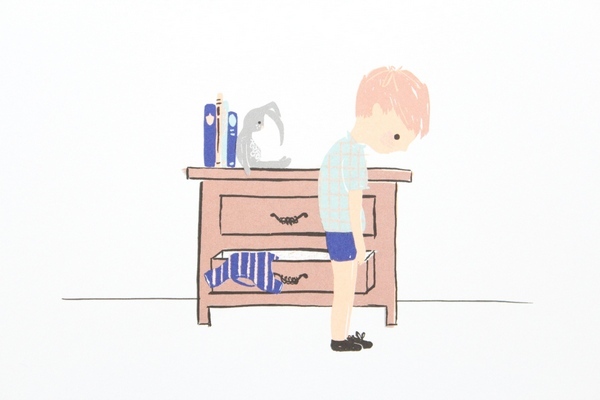 As a parent of a ‘worrier’, I know that there aren’t simple, quick solutions to anxiety – every day can throw up new challenges, just as Alfie experiences, and Davina Bell’s gentle story acknowledges just that. 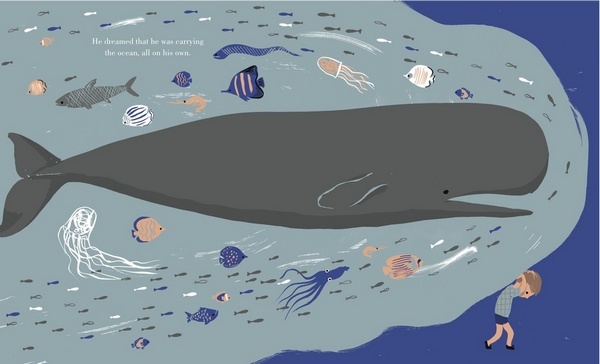 The Underwater Fancy-Dress Parade is suitable for children aged three and over. Find it in all good book stores or online at Book Depository.